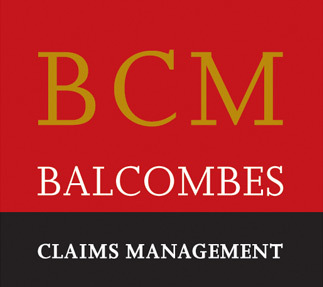 Balcombes Claims Management act exclusively for property owners who have suffered damage and who need to make an insurance claim. We assess the damage and compile, submit and negotiate the best possible settlement within the terms of your policy. Our expertise spans many decades and we are experienced and knowledgeable in the small print of insurance policy wordings. Our team have practical experience of buildings, contents, stock and machinery across a wide range of induatry. Balcombes have over 40 years experience negotiating all aspects of property damage and business interruption claims. We handle all aspects of the process in a sympathetic, speedy and supportive manner. Your Insurance Company will appoint a Loss Adjuster to represent their interests. For a cost effective fee you can have your damage professionally assessed, submitted and negotiated. Your insurance claim will be fully priced, submitted and negotiated by one of our Loss Assessors. We ensure you receive expert representation and obtain your maximum entitlement under the terms of your policy. Our Loss Assessors are highly trained and well versed in the field of commercial insurance claims and will assist you throughout the entire process of your insurance claim. For more information: FIRE, FLOOD, BURST PIPE , STORM or other ACCIDENTAL LOSS, contact us now. When disaster strikes your business, you want to get back trading as quickly as possible. However, it may take time to restore the premises. In the meantime, you may have to relocate to alternative premises or location to try and retain and service your customers in order to protect your business. Your Insurance Broker will no doubt have arranged to cover your Gross Profit. This Business Interruption cover is designed to cover your business agains tloss of profit following a material damage loss from fire, flood, burst pipes, theft etc. Included in the standard cover is an item to cover Increased Costs of Working. For example, if you have to lease a temporary premises and the cost of the rent is higher, or there needs to be some temporary fit-out or work to make it usable. There may also be the cost of temporary signage, advertising, communication with customers/suppliers, changes to stationery, website etc. Balcombes are registered with the Central Bank of Ireland to undertake Insurance Mediation under the European Communities (Insurance Mediation) Regulations 2005. All our Loss Assessing staff are qualified and also undertake continuous professional development. We remain up-to-date with ever changing property insurance policy contracts, so you don’t have to. We comply with all relevant consumer protection codes, as laid out by the Central Bank of Ireland.